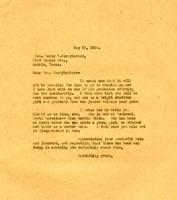 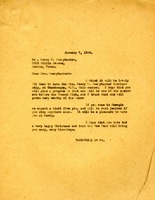 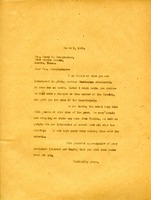 Letter from Anna J. H. Pennybacker to Miss Martha Berry regarding the beneficiary of the Mrs. Percy V. Pennybacker Scholarship. 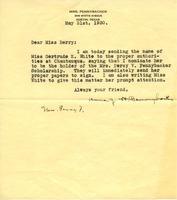 Miss Berry writes that she is delighted that Mrs. Pennybacker is thinking of giving another scholarship to someone at Berry, and she will give her the name of the beneficiary later. 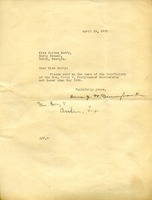 Miss Berry also writes of the "usual busy time" that they are having of people coming by to visit Berry.